← SO THE TALE OF “WINO FOREVER” IS REAL? WHERE IS YOUR RESPONSIBILITY? IS THIS YOUR SO CALLED HIGH-SPEED? 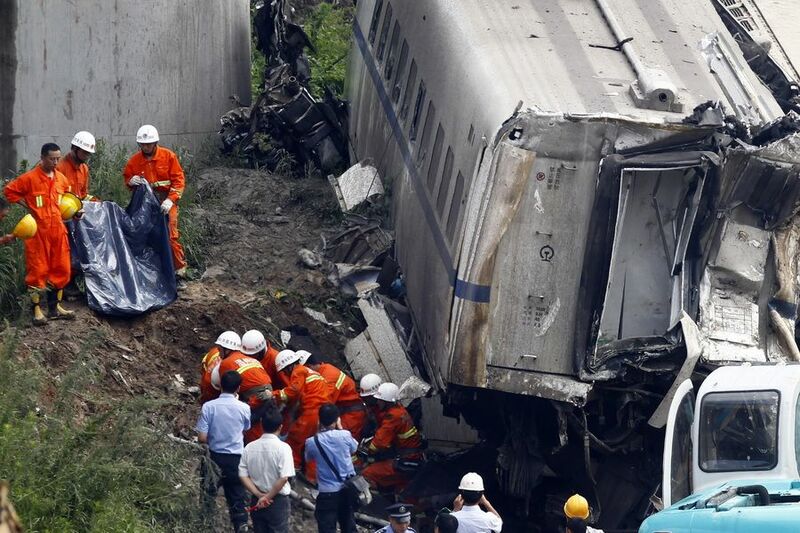 High speed railway train crashed in zhejiang province China in 23rd of July , tragedy, 35 people die, hundreds of people were injured. 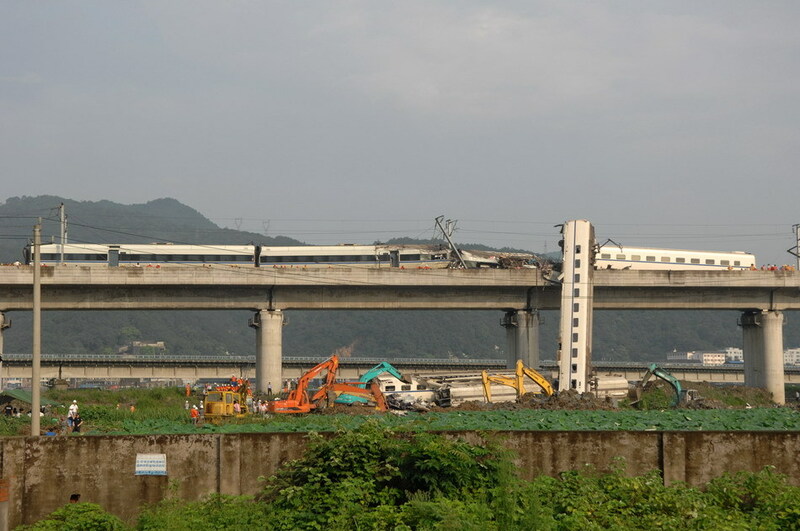 The ministry of railway spokesman said that the cause of this accident was lightning strike the electronic power transport system, one high speed train was stopped in the railway instantaneously, after a while, another high speed train came up and clashed the first one. 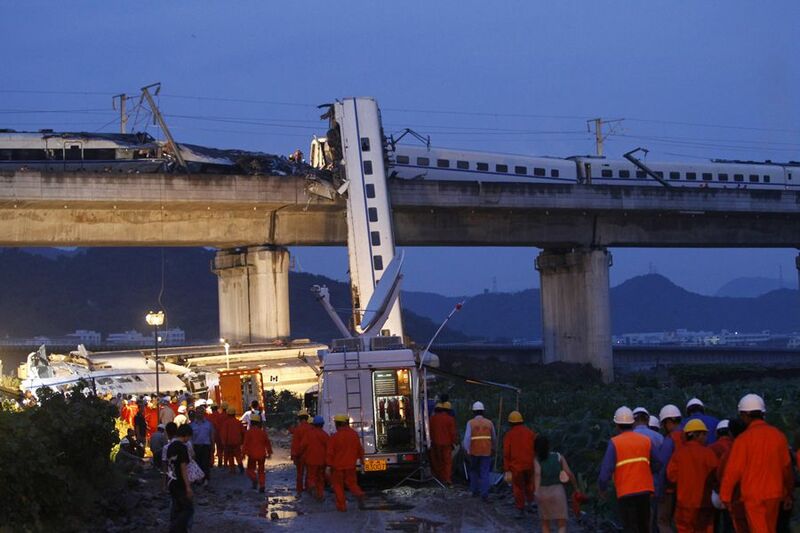 The disaster happened in the night, most tourist was sleeping, the front three carriages fell off the bridge, and the fourth carriage hit the ground perpendicularly, rescuer and the fireman guy arrived in 8 minutes, and then the ambulance, first-aid and other government department officials, you will have to admire the speed of the reaction and Chinese rescue, maybe the only benefit of the one party system, allot people was rescued from the carriages. Really good news. But let face it, the cause of this accident, what’s the real reason? especially some days before all the Chinese medias reported some stuff like the Chinese high-speed railway time had arrived, ya know because the beijing to shanghai high speed railway was completed. The media made the audience believe that china could make over 350 kilometers per hour high speed railway by themselves. 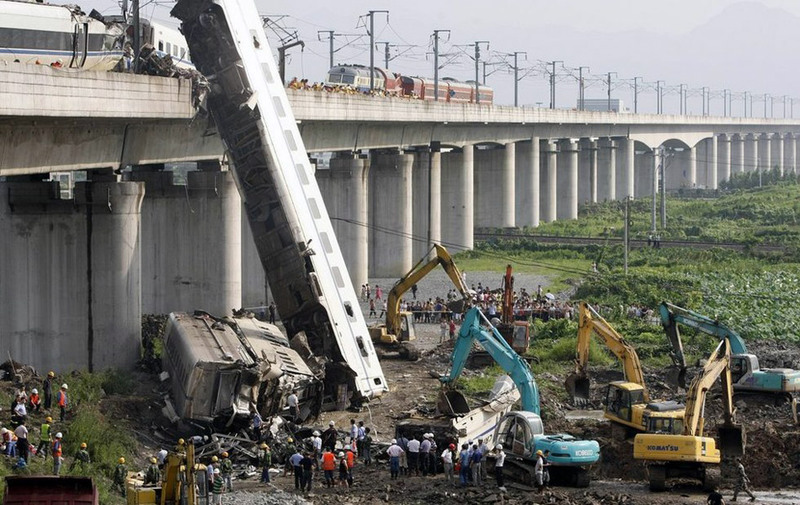 Some expert about the railway said that, the high-speed train could be braked to stop automatic by computer control, if in emergencies or something happened in many kilometers front railway. But the question was why all these automatic control didn’t work? At the last minute, the driver braked the train, but it’s too late, it’s too fast, the speed which some people believe will take our journey shorter, literally make this disaster happen. So, if you were not able to control some dangerous stuff, just down to earth and work hard, make it 2 hundred percent safe, nothing is important than human’s life.